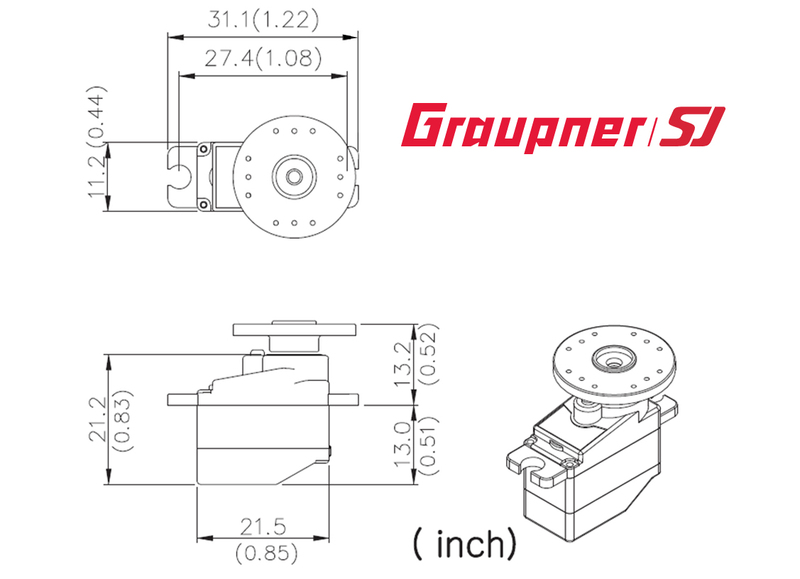 Designed with precision components, metal gears and ball bearings for durability and long-life operations, the Graupner DES 281 BBMG Digital Micro-Servo delivers maximum torque and speed with minimum weight. Don’t be fooled by the small size: you will be surprised with the precision, torque and speed the DES 281 BBMG can deliver, making it the perfect choice for park flyers and small hand-launch sailplane models. The DES 281 BBMG can be specially programmed to meet all your needs via the free Graupner Servo Setup Software. Excellent servo...great torque...very precise in it's movements...would really consider this servo again. I have used Hi-Tec servo's for years, but I believe Graupner servo's are my new choice.